March 05th 2015:Future of The Connected Car: Vrrroom! The buzz: Driver’s ed. The “Connected Car” is not a new concept, with online diagnostics, monitoring, GPS, entertainment and communications making vehicles “connected” for several years. What awaits us on the road ahead? The convergence of the Internet of Things and the Connected Car will soon impact us – as drivers, passengers, dealers, manufacturers and parts suppliers – in very interesting ways. The experts speak. 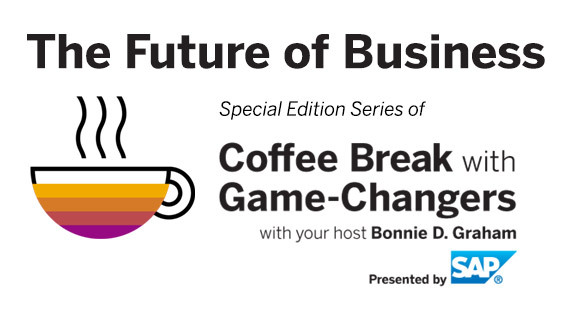 https://www.voiceamerica.com/show/2307/future-of-business-with-game-changers-presented-by-sap Future of Business with Game Changers, Presented by SAP https://www.voiceamerica.com/show/2307/future-of-business-with-game-changers-presented-by-sap The buzz: Driver’s ed. The “Connected Car” is not a new concept, with online diagnostics, monitoring, GPS, entertainment and communications making vehicles “connected” for several years. What awaits us on the road ahead? The convergence of the Internet of Things and the Connected Car will soon impact us – as drivers, passengers, dealers, manufacturers and parts suppliers – in very interesting ways. The experts speak.